Melbourne Airport says total passenger numbers rose four per cent to more than 32 million in 2014/15, led by strong growth in overseas travellers to the Victorian capital. Tullamarine handled 32.314 million passengers in the 12 months to June 30 2015, up from 31.189 million in the prior corresponding period. The airport’s international passenger figures were the standout, with number of overseas travellers rising eight per cent to 8.374 million, from 7.754 million in the prior year. Domestic travellers rose two per cent to 23.818 million, Melbourne Airport said in a statement. Airlines such as United (Melbourne-Los Angeles), Jetstar (Melbourne-Wellington), AirAsia X (Melbourne-Bali) and Air China (Melbourne-Beijing) launched new direct flights in 2014/15, while Qantas added additional Melbourne-Los Angeles services and Aircalin boosted frequencies on the Melbourne-Noumea route. Melbourne Airport acting chief executive Simon Gandy said these new direct flights provided great convenience and choice for Victorians, as well as for visitors from overseas. “It’s been an exciting year at Melbourne Airport and we’re looking forward to completing some significant projects in the coming months that will enhance the customer experience at Victoria’s aviation gateway as well as further support Victoria’s growth and appeal as an international destination,” Gandy said in a statement. Meanwhile, international traveller growth has helped offset weaker domestic traffic at Brisbane Airport in 2014/15. 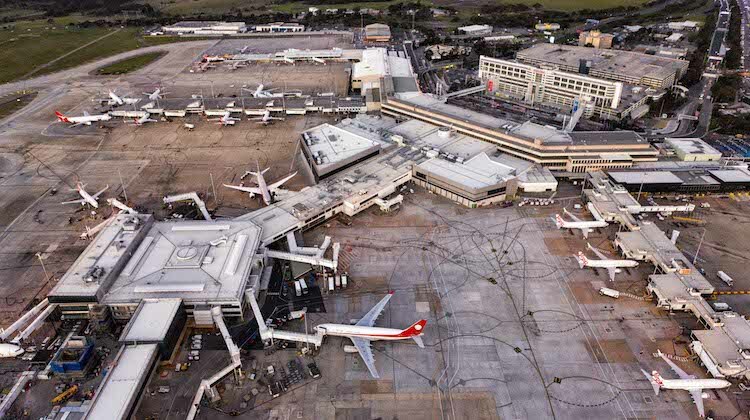 Brisbane Airport said total passenger numbers rose 0.7 per cent in the previous financial year to 22.027 million. While the number of domestic travellers at Brisbane fell 0.6 per cent to 16.949 million, international passengers rose 5.7 per cent, or more than 260,000, to 5.065 million. Brisbane Airport chief executive Julieanne Alroe said it had been a challenging year for the domestic sector, with capacity reductions meaning there were 540,000 fewer seats on offer in 2014/15. “The majority of these lost seats, 85 per cent, were to and from intrastate ports, as the airlines reacted to the reduced demand by the FIFO (fly-in fly-out) segment caused by the softening of the resources industry,” Alroe said in a statement. “The positive in this is, I believe, we have reached greater equilibrium between supply and demand at BNE following several years of unprecedented growth in capacity due to industry competition and the resources boom. Finally, Sydney Airport had more balanced growth across both international and domestic in 2014/15. Domestic passenger numbers at Australia’s busiest airport rose 1.5 per cent to 25.555 million, while Mascot’s international travellers increased 1.8 per cent to 13.327 million. Overall, Sydney Airport handled 38.882 million flyers in 2014/15, up 1.6 per cent from the prior year. What were the figures for Perth airport? I would think international will have increased and domestic slipped slightly.